My favourite looks are the one I wore to the Glossy Box birthday bash, can never go wrong with that sparkly polka dot Topshop number. I adore the electric blue Topshop boutique dress from this outfit post, however it shrank in the wash so I had to return it before I could wear it again. These were the few months when I stated getting into trousers. From when I first got my disco pants or any of the other dupes I ended up trying out, they stuck and I literally love wearing them more than dresses or skirts now. Another of my favourite outfits was my Paisley Topshop dress, but I was super teeny tiny skinny (for me anyway) during that month so I doubt it would fit me still! I adored the cut of waist of the ASOS dress I wore while I was away on holiday in Turkey with my parents too. My go-to going out but not out out outfit that I wore to a Puma party is also one of my favourite outfits. It's something I wear all the time, and the jacket was a mindless thrift store purchase I made! I must make a mental note to look in more vintage shops! Gahh and how much do I love my grey silk midi dress! I think I have a really bad thing for Topshop Boutique and anything silk! Another outfit I loved was the bargain boucle and leather jacket that I got from Primark and wore with my Transformer necklace. My hair looks absolutely dreamy too. Why does it not look like that normally! 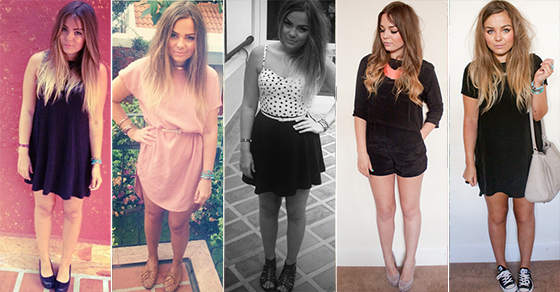 Gah summer months, I loved so many of these outfits for someone who isn't a summer/hot weather dresser at all I seemed to embrace bare legs quite a bit as well as get into trousers! Any favourites from this lot? I'll be posting one more of these style posts before the new year! These posts of yours are such a great idea, I love them! I know that personally my style changes often, so it's lovely to see how other peoples do also. Amazing outfits! love love love all your outfits, especially the first one! I love the black polka dot dress in the third down, second in. Its so cute! but i love your style! I love the gold and black blazer outfit!! gorgeous outfits, I'd probably wear all of them! I think you helped me get into pants this year, I never used to wear them either! 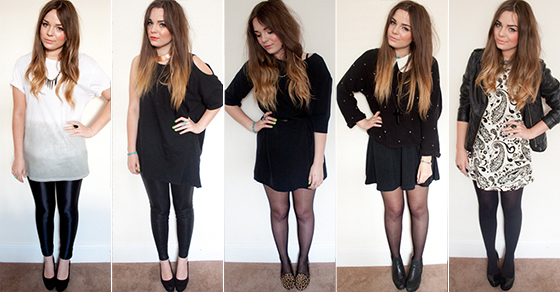 your style is so impeccable, I can't even choose which outfit I like best, love them all! Ahhhhh I would kill to raid your wardrobe! This got me really excited for summer!! I want to wear nice summer outfits!! This posts are so so cute! inspired to start my own version in the new year :D oh yes! 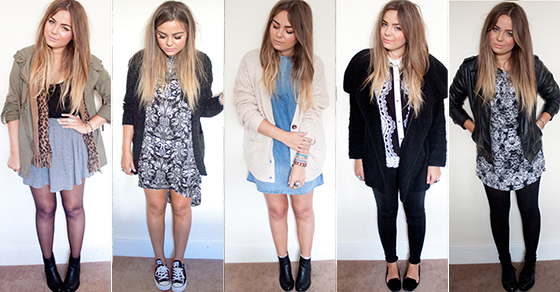 I love the colours that you use in your wardrobe, I've got to say I'm very jealous of a lot of these outfits!